Pfc. 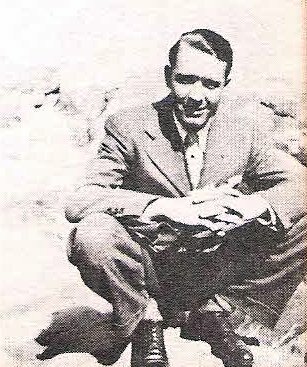 Henry M. Bramlet, Jr., son of Mr. and Mrs. Henry M. Bramlet, Sr., Jean, Texas. Entered Army in 1943, trained at Camp Barkeley, Tex., Camp Carson, Colo., Camp Roberts, Cal., and Ft. Benning, Ga. Served in France, Germany and Belgium. Awarded Victory, GCM, Amer. Theater, and 3 Bronze Service Stars. Discharged in 1946.